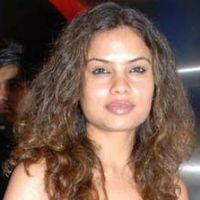 Check out the most updated and latest information about Aanchal Dwiwedi's on the Internet.Aanchal Dwiwedi has over 9 Fans registered on India-Forums.com. We have 3 Television News articles related to Aanchal Dwiwedi.Do share your criticism, comments and feedback for the Actor on Aanchal Dwiwedi's comments page. We have over 1 Photos of Aanchal Dwiwedi to view and download including Aanchal Dwiwedi's Wallpapers. Anchal you are one of lovely and finest actress and u r doing fantastic acting in housewife sab janti hai. loved your role in saath phere despite being negative!! !